A boat linked to Mitch McConnell, the majority leader of the U.S. Senate, was recently detained before leaving from Colombia. During the search, the Colombian Coast Guard agents found 42 kilograms of cocaine. 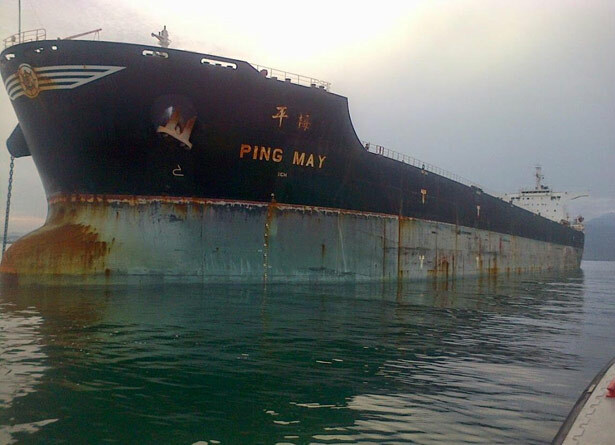 The vessel’s name is Ping May – one of sixteen ships operated by the Foremost Maritime Corporation. This Foremost Maritime Corp. is owned by Mitch McConnell’s in-laws, the Chao family. But the Chaos are not only the Senator’s family: they also make huge donations to McConnell’s political campaigns. For nearly 30 years, since the late 1980s, the Chao family has been funding Senator Mitch McConnell. After 1993, when McConnell married Elaine Chao, the Chao family lavished him with enormous gifts. In one year alone, 2008, a gift between 5 and 25 million dollars from the Chao family made McConnell one of the richest politicians in the nation (congressional financial disclosure reports only require dollar ranges…McConnell reported a gift of “between 5 and 25 million dollars on his 2008 report). 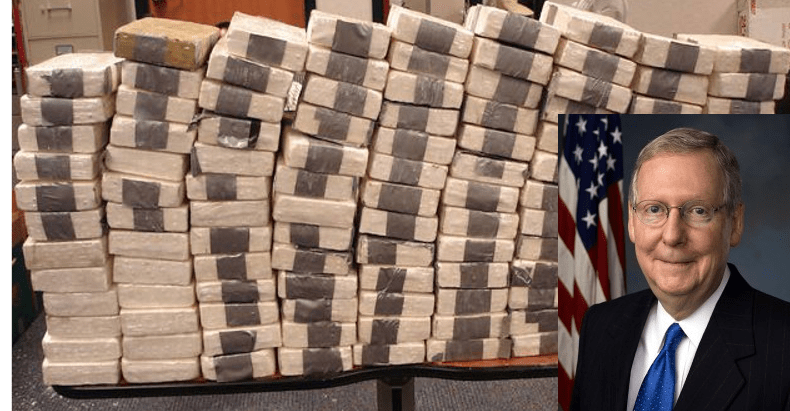 What makes this shocking is that McConnell, the Republican Majority Leader in the US Senate, is a staunch “anti-drug warrior.” In 1996, he sponsored “The Enhanced Marijuana Penalties Act,” which would increase the mandatory minimum sentencing for people caught with marijuana. This same hypocrisy exists in the shipping industry in Puerto Rico, which is rife with corruption. Between 2008 and 2013, six shipping executives with major responsibilities in the Puerto Rico shipping industry were sentenced to federal prison. They committed multiple felonies and Sherman Antitrust Act violations: conspiring to fix shipping rates, and allocating cargoes amongst the three companies which employed them. In addition to these jailed executives, the three carriers – Sea Star, Crowley, and Horizon – all pleaded guilty to violating the Sherman Antitrust Act in numerous other areas during 2011 and 2012, and were fined a total of 46.2 million dollars. The Jones Act protects these companies – even though they are breaking the law, and strangling the economy of Puerto Rico. Every Puerto Rican pays higher prices for the goods that these “Jones Act criminals” ship into the island. Then, after paying an artificially rigged price, the people of Puerto Rico now pay an additional 11.5% sales tax, on the already inflated consumer goods! For this reason the cost of living is higher in Puerto Rico, than in any state in the U.S. The Jones Act is a corrupt law. The Jones Act shipping companies are also corrupt. The New York Times called for terminating the Jones Act. Even the International Monetary Fund economists, who drafted the infamous Krueger Report agreed. It is immoral, illegal, and fatal for Puerto Rico to be denied the right to its own shipping industry. The Jones Act is the new Vieques. We must end it RIGHT AWAY. Talk about a stiff upper lip on this guy McConnell.!!!! Where is the F.B.I. With all this chaos going on? End the Jone’s Act now, not tomorrow! The Jones Act is a corrupt law. The Jones Acts shipping companies are corrupt!! MITCH McCONNELL …..